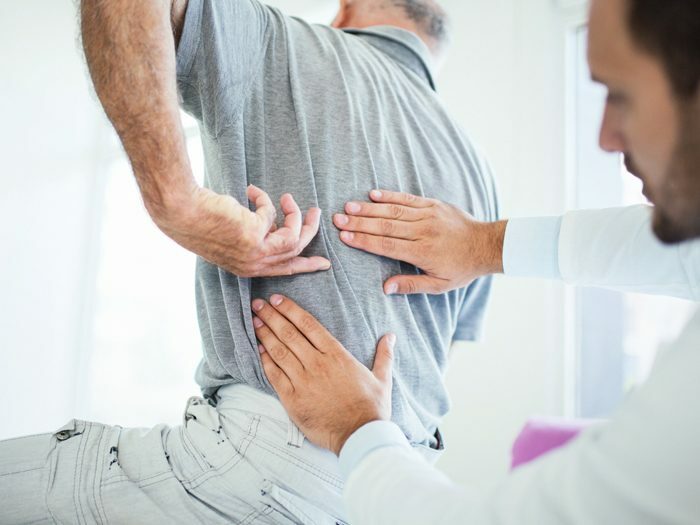 “Approximately 20 percent of injured workers experiencing acute lower back pain never fully recover, instead developing a chronic pain condition that can extend the life of a claim for years,” said Kim Radcliffe, senior vice president, clinical operations, One Call. The key to improving outcomes for both injured workers and workers’ comp payers is addressing all of the biopsychosocial factors that contribute to the experience of pain — both qualitative and quantifiable. “This clinical approach considers all of an individual’s biological, social and psychological factors, and how each of those factors work individually and in tandem to impact perception of pain, coping mechanisms, and risk of recovery failure,” said Sean Sullivan, senior director of product management, One Call. The longer a claim is open, the more the employment and indemnity costs pile up. The 20 percent of injured workers that develop chronic pain end up accounting for upwards of 85 percent of the costs associated with treating lower back injuries. The 20 percent of injured workers that develop chronic pain end up accounting for upwards of 85 percent of the costs associated with treating lower back injuries. There are also psychological components in an individual’s perception of pain. One person might stub their toe and say the pain is a level two out of 10 and go about their day. Another person might say it’s an eight and sit on the couch because they’re afraid of making it worse. That’s not always a conscious choice … that person may just be prone to catastrophizing. Sullivan: It comes down to compensability and a clear understanding of the inflection points in a claim lifecycle that drive costs. When you’re dealing with a specific physical injury incurred on the job, the impact to the musculoskeletal system can be black and white. But when you get into comorbidities, chronic conditions and the psychosocial components that aren’t as directly related to the injury event, it’s not as clear. Addressing these types of cost drivers, however, is critical to any program that is advancing a clinically-driven and value-based model of care. I think people in the industry understand this, but may be hesitant to spend more money upfront, even when it means saving as much as 30-40 percent over the long run in appropriately identified claims. Sullivan: At One Call, we have a broad biopsychosocial solution that consists of two core components — analytics and product diversity. That boils down to first identifying patients at higher risk and then providing them with the right solution to mitigate identified risk. The first component involves stand-alone tools that we’ve continued to refine, in part through collaborations with our analytics partners, like High Line Health. We are also uniquely positioned in the marketplace to tackle population-level risk identification in partnership with health plan administrators and risk managers. Sullivan: Quality providers often identify and document these types of flags in their treatment notes as variables that may be impacting progress. On one end of the spectrum of providing a holistic solution is provider engagement. This is as simple as calling up the provider when we see red flags on a patient’s file and offering them coaching and support to drive improved injured worker interactions. With no early interventions, only 60 percent of chronic pain patients are back at work one year after injury. When you do bring in the psychological and behavioral services early, that percentage goes up to 90 percent. Radcliffe: The big differentiator of our program is that it combines prediction and prevention. The traditional approach to treating work-related injuries is just biological in nature. So for chronic pain, that means chronic pharmacological intervention in the form of opioids. That has resulted in a portion of the population with opioid dependency still struggling with chronic pain. That biomedical approach is just not enough. Radcliffe: With no early interventions, only 60 percent of chronic pain patients are back at work one year after injury. When you do bring in the psychological and behavioral services early, that percentage goes up to 90 percent. That also means reduced health care utilization and fewer missed work days, meaning reduced medical and indemnity spend.